Molded Rubber Specialties | Molded Rubber Specialties is your premiere source for stock and custom rubber applications. Molded Rubber Specialties is your premiere source for stock and custom rubber applications. With our experienced staff and in-house CNC lathes and mill, we offer exceptional service and unmatched capabilities. Whether you have a standard application or need custom dimensions, we have the experience and capabilities you need to keep the job going. Fluoroelastomer (FKM), Nitrile (Buna) and HSN. Molded Rubber Specialties manufacturers custom rubber products in Carencro, Louisiana. We have been constructing rubber molds to fit your specific needs using our in-house machines since 1993! Your rubber molds can be built with our CNC Lathes and in-house Mill. We also specialize in rubber to metal bonding and have the capability to run molds as compression, transfer, or injection. We are open to accommodating your specific rubber needs. 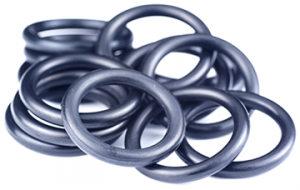 If you are in need of seals or gaskets, contact us today or review our product line. We keep a full stock of all of our catalog items as well as having the capability of same-day shipment.